Does Louis Tomlinson’s Baby Mean A Spice Girls Style Breakup For One Direction? Just when you thought things couldn't get any worse on the One Direction front after Zayn's departure, the unthinkable happened: as People reported Tuesday, Louis Tomlinson is allegedly going to be a baby daddy. Yes, you read that right: Louis Tomlinson might be expecting a baby with Brianna Jungwirth, if there's any truth to these reports (Bustle has reached out to Tomlinson’s reps for comment, but has not yet heard back). This immediately brings me back to the most traumatizing event of my childhood: the breakup of the Spice Girls. Though the two might seem unrelated, recent events have transpired that make me think that 1D is going the way of the Spice Girls and breaking up. Let's revisit what happened with the Spice Girls. Geri Halliwell, aka Ginger Spice, announced her departure from the Spice Girls in May 1998. The band swore they'd stay together. Then Mel B. and Victoria Beckham both got pregnant in 1999. The band swore they'd stay together. Then the babies came and suddenly, not much time passed and, bam, no more Spice Girls. Now let's consider the case of One Direction. Zayn left. Everyone freaked out but the band swore things would be okay and, for a minute, they were. 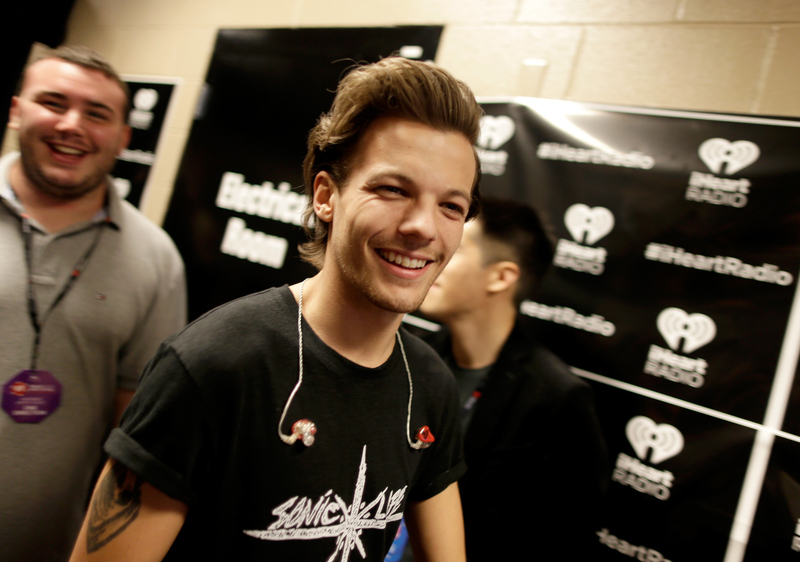 But then this happened: Louis Tomlinson might be a dad soon. Though, if this report is true, it's possible it wouldn't affect 1D, if the Spice Girls are any indication... I'm not so sure. I have not raised a child yet at this point in my life so far (cross your fingers that it stays that way) but I do know from watching reality TV that raising a baby is apparently quite a bit of time commitment. Something tells me that being a good dad would clash with Louis' schedule as literally one of the most famous pop stars in the world. Is One Direction headed for a breakup just like the Spice Girls did after one member left and babies came along and tore apart the group? Zayn already shook up the group dynamic with his departure — so this report, if it's true, could change things even more.